Former United States Secret Service Agent Donald W. Tucker uses his life experiences to create compelling works of fiction. 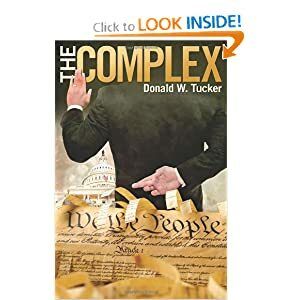 Tucker’s books illustrate the principles of fairness and accountability while addressing corruption in politics and law enforcement. Tucker challenges his readers to ask themselves: Can 1984 and Big Brother be on the horizon? His latest novel, The Complex, is an impossible-to-put-down story that closely mirrors the hostility, hatred, and vitriolic behavior in the current political climate. The spellbinding plot takes readers on a journey of murder, cover-ups, and political backstabbing. Special Agent Wesley Charles, a man who is dedicated to protecting his country, even if it means risking his life, Wendy Wiesman, a DEA agent who has amply proven that she can keep up in a man’s world, Louis Boron, a loyal and dedicated Secret Service Agent, and Seattle police officer James Allen find themselves at a three-month seminar in Dallas for the Federal Law Enforcement Supplement Office. The boring seminar quickly becomes exciting when they uncover a menacing conspiracy that threatens the nation. Tucker’s life experiences lend realism and insight to his writing, having put his life on the line for his country in a remarkable career in law enforcement that he documented in his autobiography. He began his career with the Federal Bureau of Narcotics in Chicago, Illinois, after which he went on to work for the United States Secret Service. He garnered tremendous recognition for his dedication to his country and was promoted to the position of Assistant Special Agent in Charge of the D.C. Headquarters, Counterfeit Division, followed by Special Agent in Charge of the Arizona Office of the Secret Service, the United States Marshal for the State of Arizona, and, eventually, Chief of Federal Court Security for the Administrative Office of the United States Courts.